Hello from Vancouver. I'll be bringing you updates all week from the TED Conference. Among the tech-focused presenters, Twitter and Square CEO Jack Dorsey is speaking on Tuesday. For years, we've known that the phones we love and are glued to also record our locations, faces, and fingerprints. And we've understood that the same sensors that serve our individual needs could also, theoretically, be used to conduct surveillance on us. Driving the news: It's increasingly clear that things have moved from the theoretical to the real, as a pair of reports in the New York Times underscores. 1. One article details how law enforcement in the U.S. has been making use of a trove of location data assembled by Google, called Sensorvault, that helps find both suspects and witnesses to crime. "Anytime a technology company creates a system that could be used in surveillance, law enforcement inevitably comes knocking," writes NYT's Jennifer Valentino-DeVries. "Sensorvault, according to Google employees, includes detailed location records involving at least hundreds of millions of devices worldwide and dating back nearly a decade." 2. The other piece describes how China is using facial recognition to identify and take action against its Uighur Muslim population. The AI-based system, which uses surveillance cameras in public places rather than phones, tracks the minority population's members not only in their home province but when they travel in other Chinese regions. 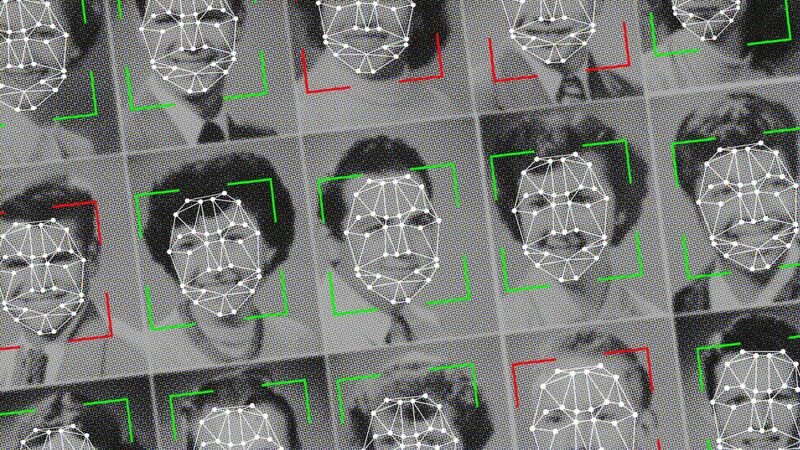 "Using algorithms to label people based on race or ethnicity has become relatively easy," writes NYT's Paul Mozur. "But China has broken new ground by identifying one ethnic group for law enforcement purposes." Meanwhile, marketers are also stepping up their use of location data to deeply target advertising, as Axios' Sara Fischer reports. Google has already started to build the next phase of its advertising business around its ability to track users' location in real time. The company is beefing up the ads served via its real-time navigation app Waze. Waze announced last month that it's parenting with ad giant WPP (via its ad-buying arm GroupM) to help Waze develop new ad formats. In a pitch deck revealed to Digiday last month, the company expanded on its efforts to sell such ads. It said it would sell ads that try to convince drivers to alter their routes by using things like "branded pins" that would guide drivers to nearby stores or restaurants. It has also begun publicly talking about its next big moneymaker: maps. Rajas Moonka, director of product management for Google Maps, told Bloomberg last week, “We want to be able to highlight things that are around you and surface them nearby to you in a way that’s not disrupting your experience." Why it matters: This data can be used for purposes that some might identify as good and others might find objectionable. But it's most definitely already being used, ever more widely, while our legal systems and personal understandings lag far behind. Our thought bubble: It's (past) time to start making rules for how this information can and can't be accessed and by whom. The legal battle between Apple and Qualcomm will reach a critical point this week as a major trial begins in San Diego. The case gets to the heart of the dispute, asking a jury to decide whether, as Qualcomm maintains, Apple owes it billions in unpaid royalties or if, as Apple argues, Qualcomm's royalty structure is unfair to the point of being illegal. Jury selection begins Monday, with opening arguments late Monday or Tuesday. The judge plans to hold trial only 3 days a week, with the case expected to take 4 weeks or so, stretching into mid-May. Witnesses could include Apple CEO Tim Cook and top execs Phil Schiller and Jeff Williams, along with Qualcomm CEO Steve Mollenkopf and president Cristiano Amon. The bottom line: A verdict won't end the legal battle, as either side can appeal and other cases remain, but it could well determine who has the upper hand as the dispute enters its endgame. Go deeper: The Wall Street Journal had an in-depth look at the dispute, in particular the animosity both CEOs have for one another. Mapbox has tapped Uber's Nico Belmonte to be its GM of maps. Details: At Uber, Belmonte led a team of more than 50 engineers working on the core business as well as future areas including autonomous vehicles. He was also very familiar with the company's digital mapping technology, having used it for Uber's analysis of its dispatch and routing as well as self-driving car visualization. "For the past four years, we've been using Mapbox," he said. "I feel this is such a natural transition for me to just move there." Why it matters: Mapping remains a hot area for companies like Google, Apple, Here, and Mapbox that are in the business, as well as for all the internet and transportation companies that rely on such technology. We've all been there — at a place where we aren't supposed to use our phone, but just want to sneak a quick look. But, if you're an NBA player — and the place is on the bench during a playoff game — it might be better to resist the urge. Amir Johnson found that out the hard way, as TV cameras captured him looking at his phone during the fourth quarter of Saturday's Sixers-Nets game. League rules prohibit use of cellphones during games and call for a suspension or fine. The bottom line: He got both a fine and a reprimand from his coach. The TED conference runs all week in Vancouver. Chris Phillips, head of menswear at Stitch Fix, is leaving to become CEO of male-oriented online clothier Mizzen+Main. Dan Romero is exiting after 5 years at Coinbase, most recently as VP in charge of its international efforts. Watch as SpaceX lands all three of its booster rockets for the first time.